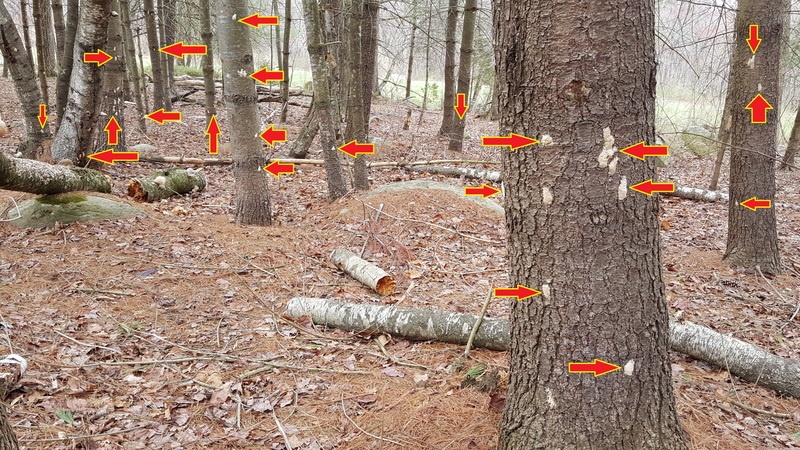 Entomologists at UMass Amherst report that some of the first gypsy moth egg masses to hatch in the state in 2017 have been observed on Wednesday, April 26 in Belchertown, Mass. at a single location off US-202. On April 27, egg hatch was also reported in Hingham, Mass. 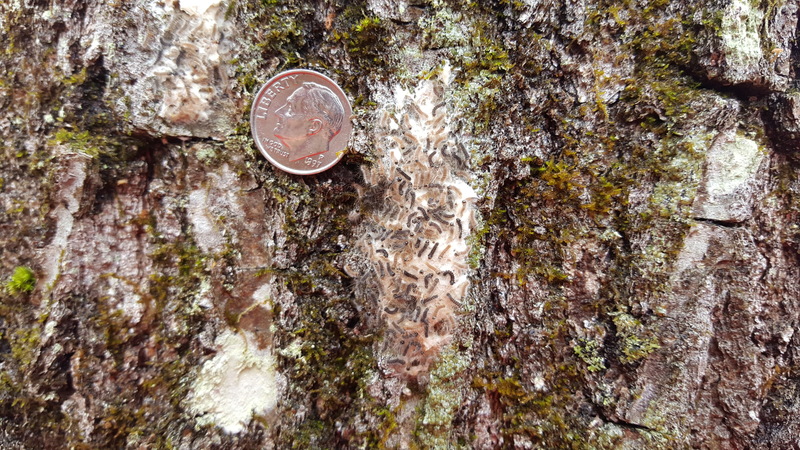 UMass Extension Entomologist Tawny Simisky reports that “a single egg mass can hold up to 500 and 1000 eggs.” Gypsy moth defoliated over 350,000 acres in Massachusetts in 2016, according to the state Department of Conservation and Recreation, and the concern is that if 2017 is as dry as the previous two years in May and June, the situation with gypsy moth could intensify. Until last year, the Commonwealth had not been heavily affected by the caterpillars, which can grow up to approximately 2.5-inches in length, since roughly 1989, due to a caterpillar-killing fungus that greatly reduced their numbers. 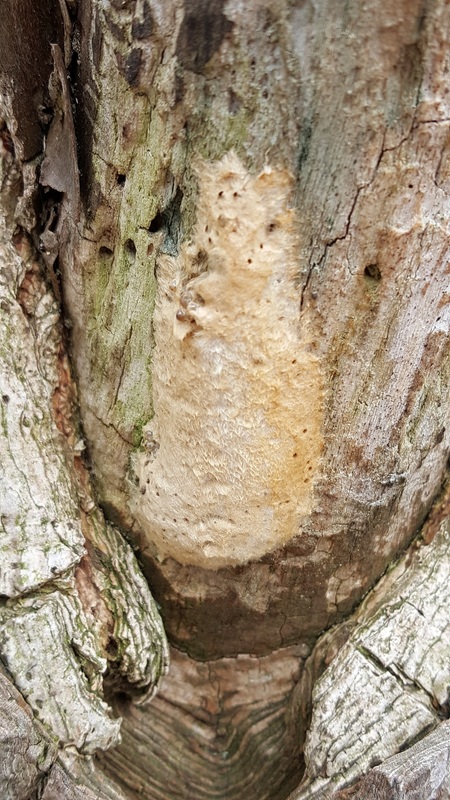 However, drought conditions in 2015 and 2016 reduced the fungus’ ability to infect the young caterpillars, resulting in renewed significant damage to forests, parks, and yards. In 2016, hardest hit areas include sporadic locations in Cape Cod, the Southeast Region, and southeastern Worcester, Franklin, Hampshire, and Hampden counties. Simisky reports that management strategies for valued, ornamental landscape trees and shrubs can include certain natural insecticides derived from soil-dwelling bacteria (most useful when the caterpillars are very young, just after hatching) and non-chemical options such as banding trees and removing egg masses prior to hatch (although non-chemical options may be labor intensive and may not yield the desired results). A more detailed article on gypsy moths and this year’s hatching, as well as a list of other informational resources, can be found at here.